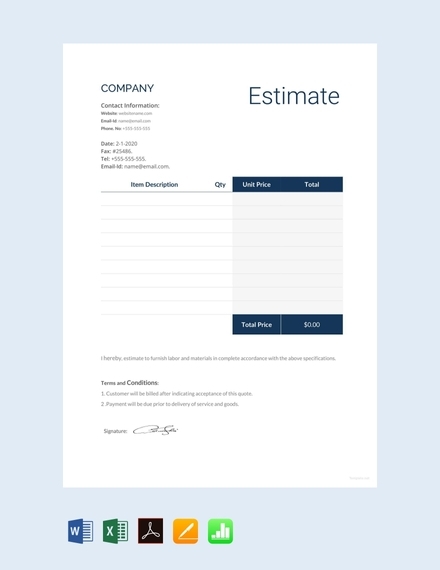 Basic estimate sheets are used by businesses or organizations to provide an idea about an estimated cost for a project, activity, or purchase to their customers. 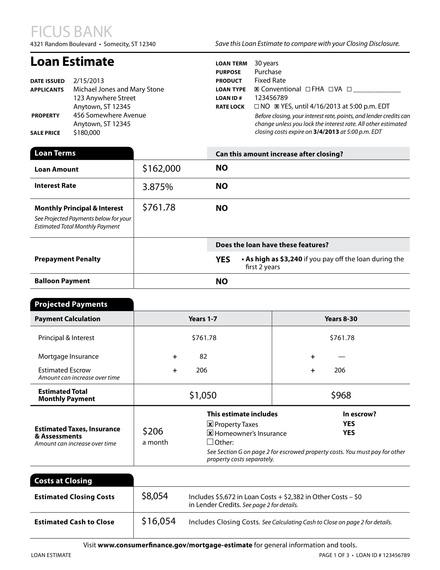 Estimate sheets help a lot when it comes to preparing entities with the amount of money that they should most likely prepare for a specific process to push through. 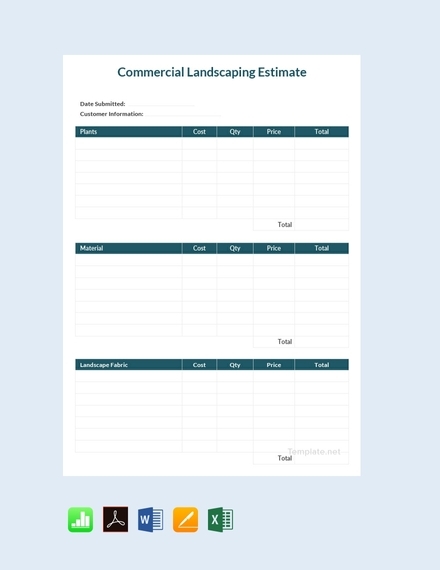 We have listed several estimate sheet examples and templates for your reference if you plan to develop a specific estimate sheet on your own. 1. Basic information of your business: Ensure that your estimate sheet contains the name and logo of your business, your business address, and contact information. 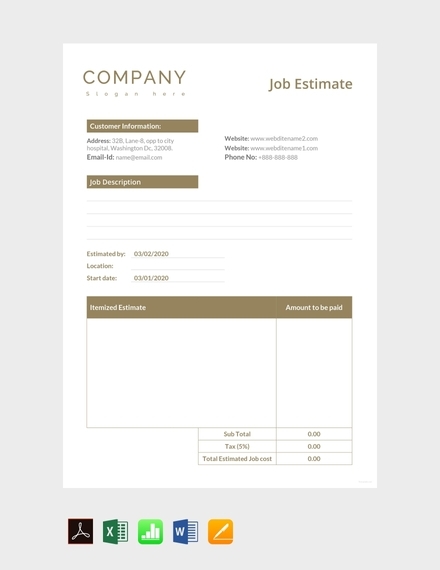 You can also add other items like your business slogan depending on how you would like the heading of your estimate sheet to look like. 2. 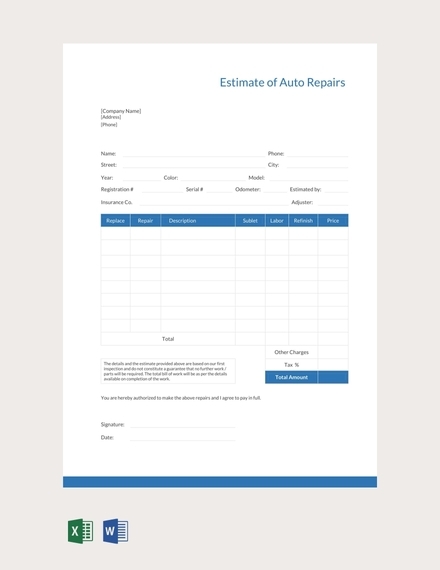 Standard estimate sheet details: There are some standard estimate sheet details that you must always present whenever you are making the specified document. An estimate sheet number or code is one of the most important details that you should include as this can help processes of referencing, updating, and tracking easier. 3. Project or purchase specification: Be particular with the project or purchase where the estimate sheet is for. You can have a subject line for this content or you can also specify and describe what the transaction is all about. 4. Timeline or deadlines: Estimate sheets can sometimes include particular time frames where the items in the list are needed. This specification can affect payment terms, batch requirements, and deliverable expectations. 5. 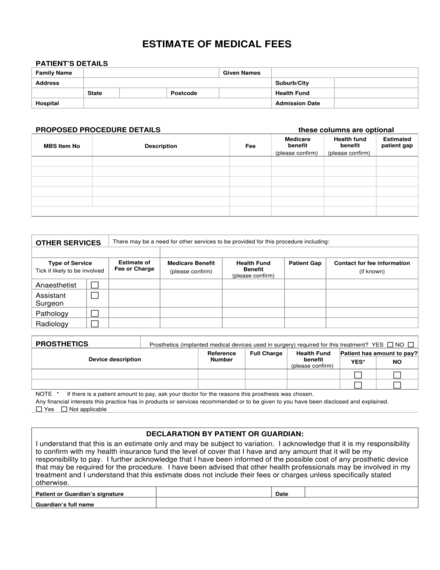 Estimate validity: Your estimate sheet must have a content validity. 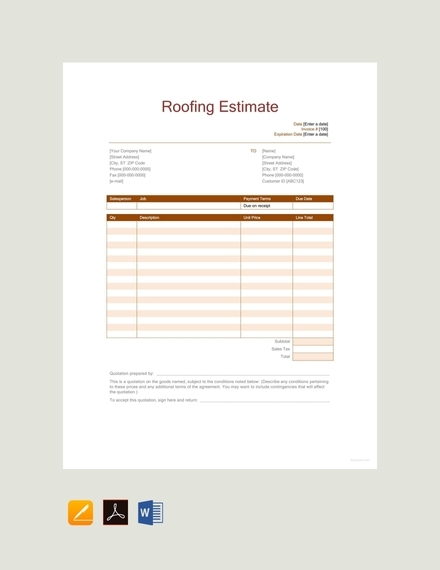 Be accurate and specific when specifying the validity date of the estimate sheet. 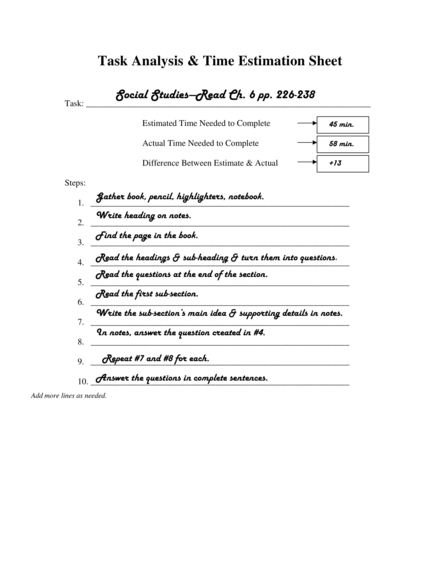 You may also see task sheet examples. 6. 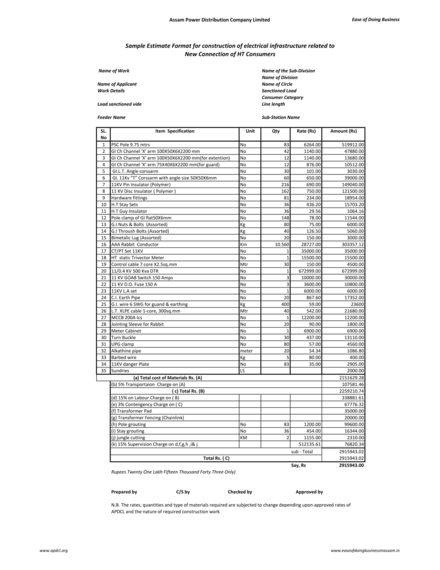 Costs: One of the most essential items that must be addressed when making an estimate sheet is the cost of services, materials, equipment, and the like. 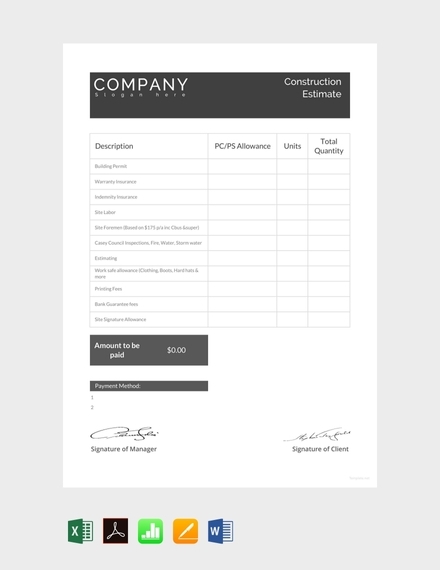 Ensure that your costings are updated and accurate before giving the estimate sheet to your clients or customers. 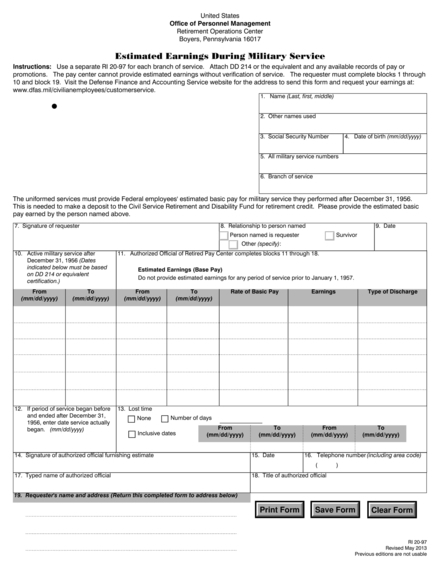 Reviewing the entire estimate sheet first can help you protect your intentions, rights, and entitlements as a business entity. 7. Payment terms, conditions, and requirements: To make payment settlements and agreements easier, presenting payment terms and conditions as well as other requirements can help a lot. You can place these details at the bottom part of your estimate sheet alongside other agreements or notes about the transaction and the actual cost estimate. Identify the requirements of the transaction where the estimate sheet will be used. List down all the materials and/or services that are needed to be present in the estimate sheet. Create a draft of your itemized presentation. Look for the cost estimates of the items that you have listed based on the pricing guidelines of your business. Select a template or a layout that you can use to format your overall content. 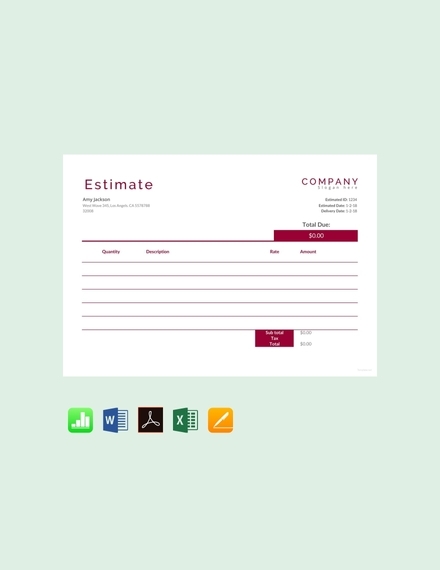 Assign an estimate sheet control number in every sheet that you will be making. Develop a letterhead or a heading where you will place your business details. Specify the name of the customer and other relevant information needed for your record. List all the items and their estimated prices. Have a computation of the total amount that is needed to be paid. 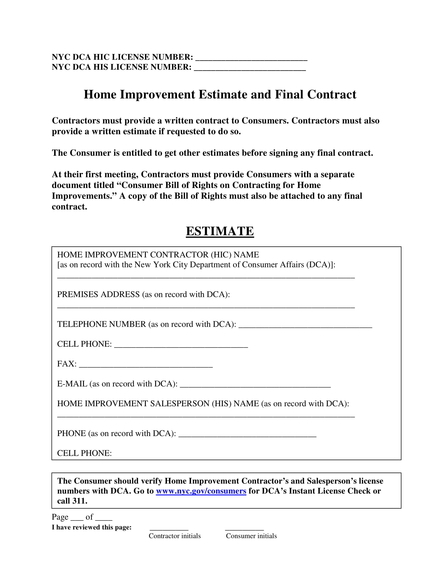 Present agreements and terms at the end of the estimate sheet. 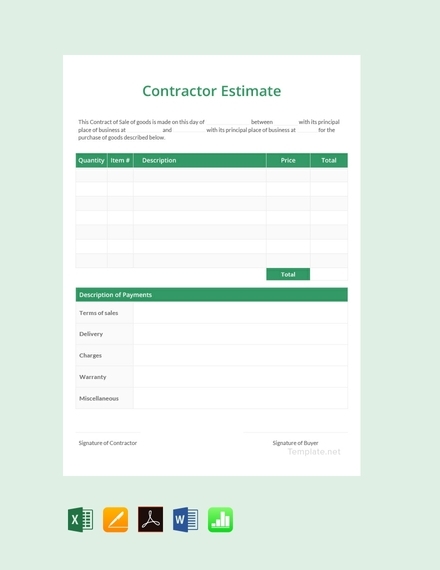 Are you thinking of creating an estimate sheet anytime soon? Listed below are the useful tips that you can always refer to if you want to ensure the effectiveness of the estimate sheets that you plan to create. Just like when creating log sheets, make sure that the placement of all the estimate sheet’s content are suitable for your presentation and discussion. How you place or put together certain information can totally affect the understanding of other entities who will look into the document’s details. Use templates that are aligned with the particular estimate sheet that you are tasked or you need to create. Select a format that is well-organized and easy to understand to avoid future problems. Look into all the factors and elements that can affect the effective usage of the estimate sheet. Ensure that all your estimated costs are updated and that you can truly provide all the items or deliverable that you have specified in the document. In this manner, you can protect the credibility of your business. Are estimate sheets only used in business processes? 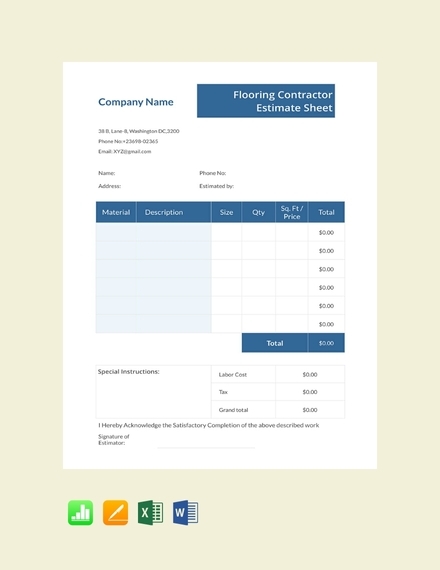 Estimate sheets are usually used in business processes; however, the usage of the specified document is not limited to transactions within the bounds of corporate industries. 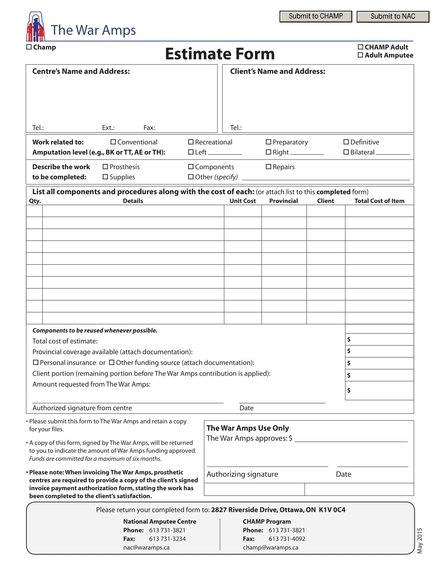 There are also estimate sheets that are used by organizations for projects, service requirements, partnerships, nonprofit activities, donations, and even home maintenance. This is the reason why there are also informal estimate sheets that can be given, specifically if the transaction is between friends, acquaintances, or family members. 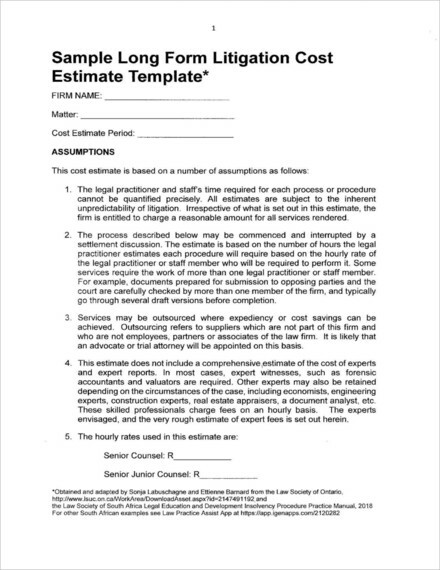 Why are estimate sheets important? 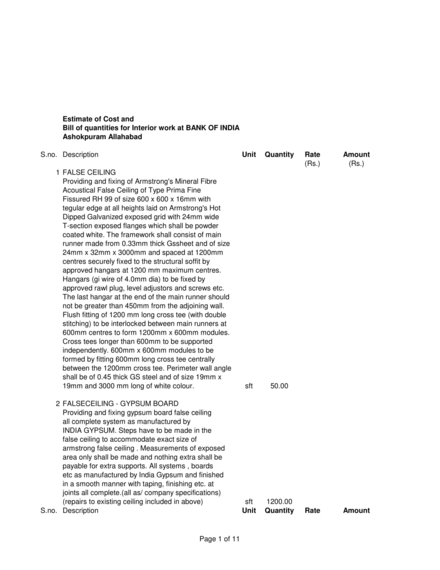 As formal sheet examples, estimate sheets are considered as essential document particularly in transactions where payments are needed to be given in exchange of an item or a service provided. 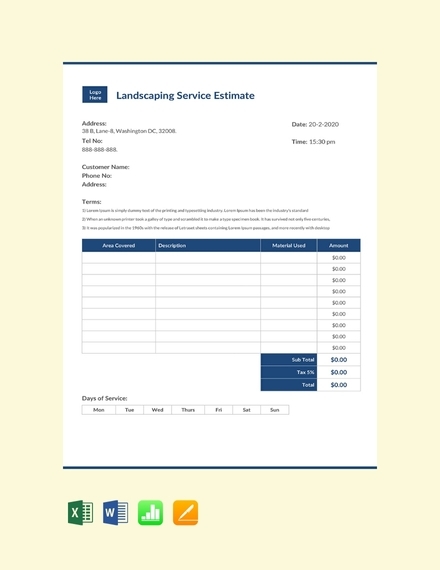 With the help of an estimate sheet, clients or customers can gauge their payment capabilities. Having an estimate sheet at hand can help them decide on whether to push through with a particular transaction especially in consideration of the budget that they are willing to allocate. 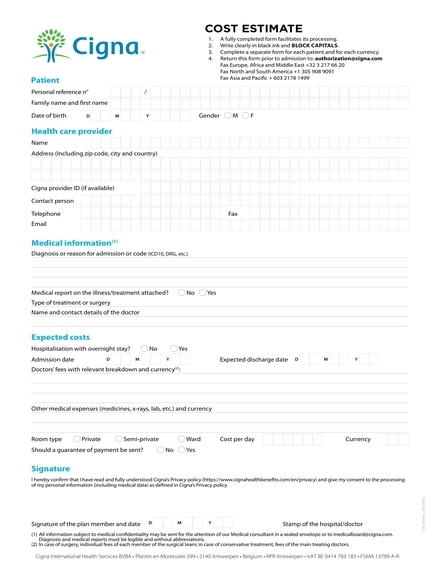 Estimate sheets can also provide brief information about the terms and conditions of payment, which is a great way to set the expectations of clients. Using analysis examples and templates can allow you to come up with impressive analysis documents with ease. The same goes if you will use references when developing the estimate sheet that you need. 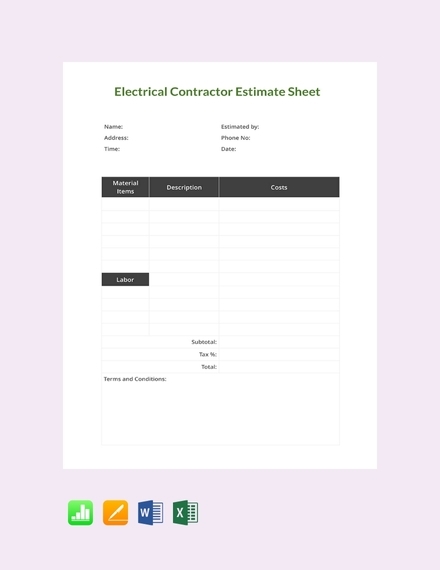 We are hoping that the examples and templates of estimate sheets that we have listed in this post are already enough for you to easily create the estimate sheet suitable for your needs.